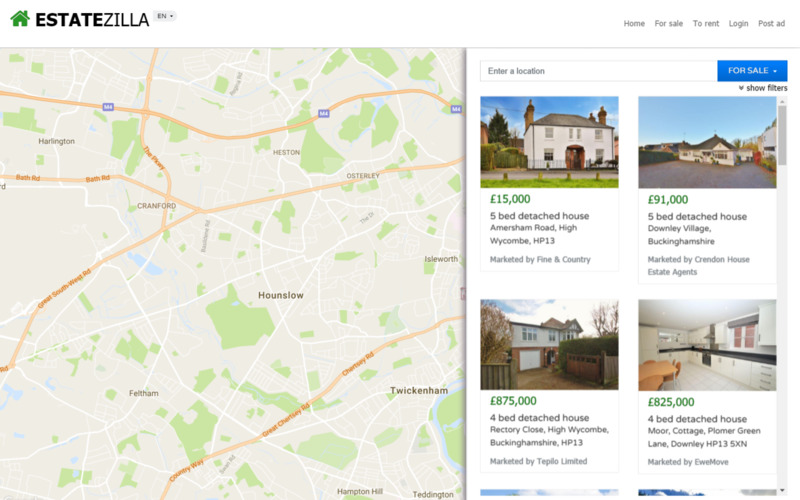 Bootstrap Property Map is a map based professional template for selling properties. The theme makes use of a map on the home page with a search bar on the side. Bootstrap Property Map starts out with a map on the home page. It makes uses google maps API to show locations, followed by a tooltip when clicking on each property. A of sidebar also pops-up on the right so one can easily browse the property listings. The theme includes a user account section so you'll have all the styles and forms you need to get started. It then has the other pages that traditional estate agency portals have. It's ideal for making a portal of realestate properties rather than being suited for a single property owner. The theme also makes use of a carousel plugin and also uses google maps API to show locations. If you want to make your own real estate portal, there's little else you could want. Don't forget! Because you're using a theme built with Bootstrap 4, you get access to everything in the Bootstrap component library and ecosystem. This makes Bootstrap Property Maps an excellent choice for your next project. If you have any problems please contact us at support@expresspixel.com. Property images are not licensed.